The 23rd annual International Pinot Noir Celebration (IPNC), billed as “Planet Earth’s Premier Pinot Noir Event,” is scheduled for July 24-26, 2009. This is the grandaddy and the most heralded of all Pinot Noir festivals. Over 60 carefully selected premier Pinot Noir producers from Oregon, California, Burgundy, New Zealand, Austria, Champagne and Alsace will gather with 700 Pinot geeks to spend three days tasting exceptional wines, savoring unforgettable meals, and learning and celebrating with luminaries of the food and wine world. Jancis Robinson, a world-renowned wine educator and wine writer will be the 2009 Master of Ceremonies. Two seminars on soil and geology are featured which are certain to make every Pinot geek’s heart beat faster. The morning seminar, “Down to Earth: Digging Deeper into Oregon’s Soils,” will have Jancis Robinson leading guests in a comparative blind tasting and discussion of ten Oregon Pinot Noirs made from two specially selected vineyards in the Willamette Valley. The Oregon winemaker panel composed of Terry Casteel (Bethel Heights Vineyard), Steve Doerner (Cristom Vineyards), Laurent Montalieu (Soléna Cellars), Lynn Penner-Ash (Penner-Ash Wine Cellars) and Ken Wright (Ken Wright Cellars) will explore the question of how soil, geology and the winemaker’s approach affect the expression of Pinot Noir. The afternoon seminar will be led by esteemed journalist David Schildknecht and eminent winemaker Francois Millet of Domaine Comte Georges de Vogüé who will take attendees on a virtual tour of the village of Chambolle-Musigny, discussing the soils, geology and terroir of some of the world’s most famous vineyards. 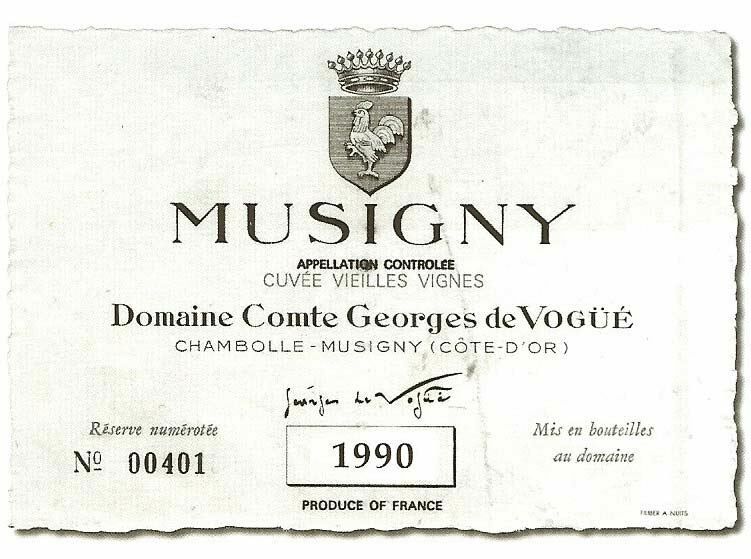 A tasting of the lineup of 2006 Comte de Vogüé wines will include the gamed Grand Crus Bonnes Mares and Musigny Vielles Vignes. Pinot Noir is the most food-friendly wine on the planet and the 50 distinguished northwest guest chefs who attend the IPNC highlighting the wines with memorable meals. For Friday’s Grand Dinner, chefs Vitaly Paley of Paley’s Place, Stephanie Pearl Kimmel and Rocky Maselli of Marché, Adam Stevenson of Earth and Ocean and John Sundstrom of Lark will team up with a local farmer to create inspired courses alongside a collection of wines, both new and aged, poured by guest sommeliers who return year after year to make the whole experience delightful. Saturday night’s Northwest Salmon Bake features chefs Benjamin Dyer, Jason Owens and David Kreifels of Simpatica, mark Hosack of Gracie’s and Jason Stoller Smith of The Dundee Bistro. Other activities include a pairing of New Zealand wines with world-class cheeses, a sensory presentation of soils and local farm produce and an intimate vineyard tour and winery lunch at one of the nearby Willamette Valley winery destinations. Two outdoor walk-around tastings will feature the 2006 and 2007 vintages of Pinot Noir. Last year there were at least 16 Domaines from Burgundy pouring their wines at the walk-arounds, unmatched by any other American Pinot Noir event. Tickets for the full event are $975 all inclusive. Reserve a dorm room on the campus of Linfield College (there are no exams), immerse yourself in Pinot Noir and enjoy a weekend that you will treasure forever. Join the Prince and dance with the Pinot stars of the world. For details, visit www.ipnc.org or call 800-775-IPNC. In November, 2008, I attended the ¡Salud! Oregon Pinot Noir Auction for the first time and I enjoyed myself so much I have vowed to attend yearly. The dates are Friday and Saturday, November 13 & 14, 2009. On Friday there is a Big Board Auction of cases of 2008 ¡Salud! Cuvées from Oregon’s top Pinot Noir producers held at Domaine Drouhin Oregon in the Dundee Hills. Attendees can stroll through the three level winery, sampling 2008 Pinot Noirs from over 40 wineries and bid on these special lots which are only available through this auction. This is the first extensive public showing and offering of Oregon’s 2008 vintage of Pinot Noirs. The vintage has been justifiably highly touted (“the best in Oregon’s history” some claim. Don’t laugh this not shallow hype). My suggestion is to form a consortium, bid on a special case of Pinot Noir and party on. Saturday is the festive auction and dinner gala at Portland’s historic Governor Hotel. This is a more intimate affair, attended by all of Oregon’s winemaking luminaries who are pouring their wines and celebrating in a Paulée type atmosphere. The evening features formal attire but casual ambiance in the Oregon manner. Participating wineries included among many, Adelsheim Vineyard, Antica Terra, Argyle, Beaux Freres, Cristom Vineyards, Domaine Drohin Oregon, Elk Cove Vineyards, Hamacher Wines, Ken Wright Cellars, Ponzi Vineyards, Raptor Ridge Winery, Scott Paul Wines, Soter Vineyards, St. Innocent Winery, Stoller, Westrey Wine Company and Willakenzie Estate. The mission of ¡Salud! is to address the hurdles faced by seasonal vineyard works in Oregon who cannot meet their basic health needs with often only a few months of income to stretch over a full year. ¡Salud! provides access to health care for Oregon’s these under-served seasonal vineyard workers and their families. ¡Salud!’s Clinical Services Manager, Leda Garside RN, was recently honored with the Outstanding Service Award at the Oregon Wine Symposium. Tickets which include both ¡Salud! events are $395 and are available online through www.saludauction.org or by calling 503-681-1850. I will be dancing with some Pinot at this year’s event and I hope you can join in on the fun. 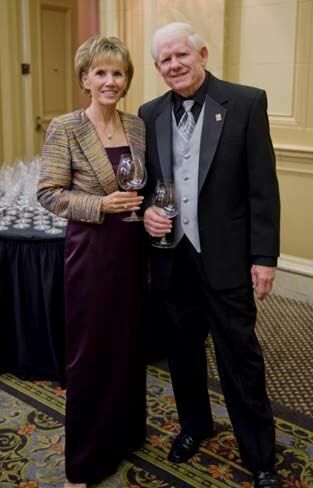 PS: Andrea Johnson, one of the talented photographers whose remarkable images are in a new book on Pinot Noir, Passion for Pinot, took the picture of my wife Patti and I at last year’s ¡Salud! Every pinotphile must have this book in their library. Check the book out (www.pinotbook.com).